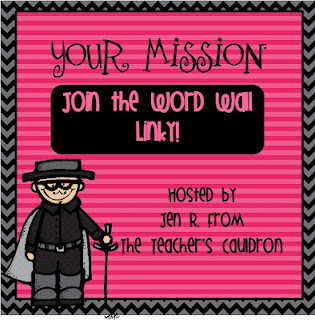 This post is linked to Jen's word wall linky! I had my Word Wall set up with the letters since the beginning of the year, like so. I got the alphabet letters from Christie at Teaching in Flip Flops. In the first week of school, I wrote everyone's names on sentence strips and we put them underneath our letters. Aaaaaaaaaand that has been the extent of our word wall until yesterday. I feel like a bad teacher but at least I fixed it, right? Here's what it looks like now! Why do I have so many W words??? I am wondering where your sight words come from. Or whatever you call them... my program calls them "Memory Words." I bought the Sight Word Superstars pack from Jenn at Finally in First, and yesterday, just out of curiosity, I checked my memory word list next to the Fry words, and they are on like totally different planets. What do you put on your word wall? Sight words? High frequency words? Or do you have an academic vocabulary word wall? And I will leave you today with this little gem. Very nice word wall. I put HF words and Vocab words on my word wall. My plan is to make the wall more interactive next year. Hoping to retire words and allow kids to have input on which new words make The Wall. I add three to five sight words to the wall each week. We call the "snap words" because we need to know them in a snap. Looks like you went to a lot of work putting that up! I have one too, but we use it with our Beck vocabulary - "rich" vocabulary that is great for my language learners...they've learned clutzy and ridiculous which they use to describe me frequently! Don't kill me. I don't have a word wall. I used to. But not now. Love the Ryan Gosling poster!!! Hi!! I have an interactive word wall in my classroom. I use velcro to post the words on it. I can't remember where I bought it but I keep it low enough so the students can reach it. The words I post on there are our sight words. We get our sight words from the Fry List and the Read Well program. Don't feel like a bad teacher! I recently just revamped my word wall as well. I had about 10 words on my wall until about 2 weeks ago, and then I spent a weekend re-doing it. Hey, we can't get to everything all the time! 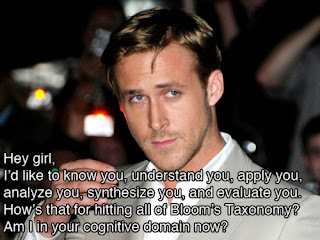 That Ryan Gosling pic totally made my night- it is the best one I've seen by far! Thanks for sharing. Found your blog through this linky party. WOW! A WHOLE school of multi-age classrooms? Our school system experimented with the concept in the late '90s, but none since then. I'm now a follower and look forward to reading more! I love round labels! I have got to do that someday! Love the circle labels. Super cute. Come see my word wall when you get a chance. I have two giveaways right now! Great word wall! I teach third grade, so our words aren't sight words. We pull them from our reading stories, content area, etc. for unfamiliar words. I'm a bit late to the party, but I'm here...and with a freebie! Come by and pick it up when you get a chance!